Milk is basic necessary of human being. However, in absence of agricultural land in big cities it has not been possible to keep dairy cow, goats and buffalo where is the cost of milk is double in villages. 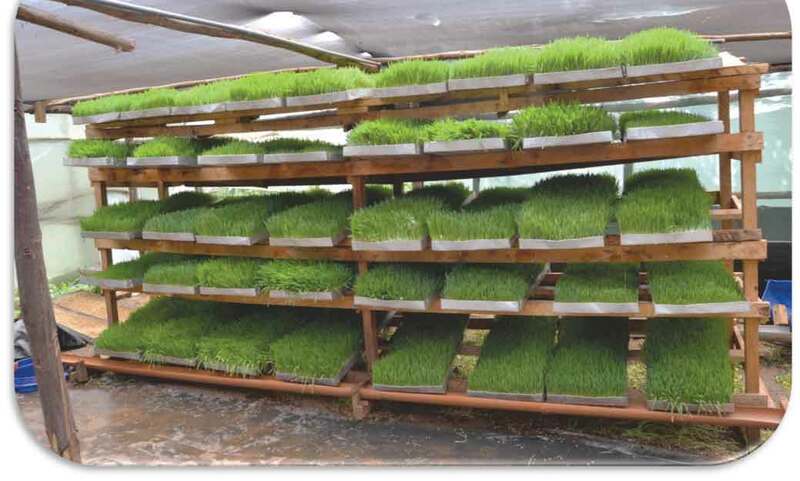 Now with development of new technology, hydroponic we can grow fodder for dairy cow, buffalo goat and poultry. There is no need for soil; only thing, we require is light and water plus 20 degree temperature. In seven to eight days the fodder is available. From one kg grains we can get 8 kg of fodder in a days. This technique reduces the cost of fodder by 25%. And it is boon for dairying in drought from area. 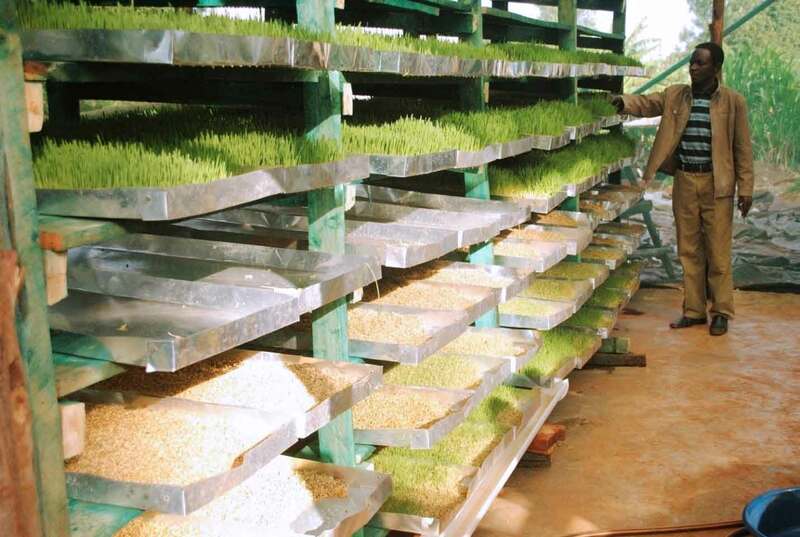 The method of growing fodder is four stage processes, which is describe below. The grains are soaked in water for 24 hours. To avoid growth of fungus 5% concentration domax is used for soaking grains. You can use hydrogen peroxide. Wash seeds five times to remove domex. Keep seeds in warm (300C) for 24 hours. You need a tray with (2 x 3 x 0.4 feet) for 2 kg grains. You should take tray with holes in bottom for drainage of water. The seed germinate at 20 degree C to 25 degree C.
For moist of seed are fogger or sprinklers are used. Constant supply of light is necessary light can be provided by solar lamp. Within 8 days from 1 kg seed you can grow 10kg fodder, sufficient for two cows. pH of water should be 6 to 6.5. That is acidic. 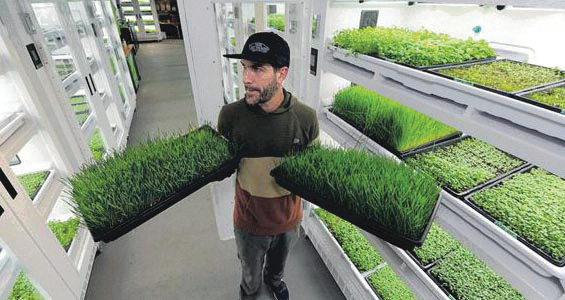 Saves land, 72 x 72 feet you can grow fodder for 10 cows. You need only water, light, temperature and pH. No soil or fertilizer is needed.